A few years back, a friend came to visit us in the Middle East and upon seeing just how many dates we eat, receive, have available at the store etc. she immediately wrote her grandma and asked for her date ball recipe. Since then, I have made these date balls roughly 9,000 times. 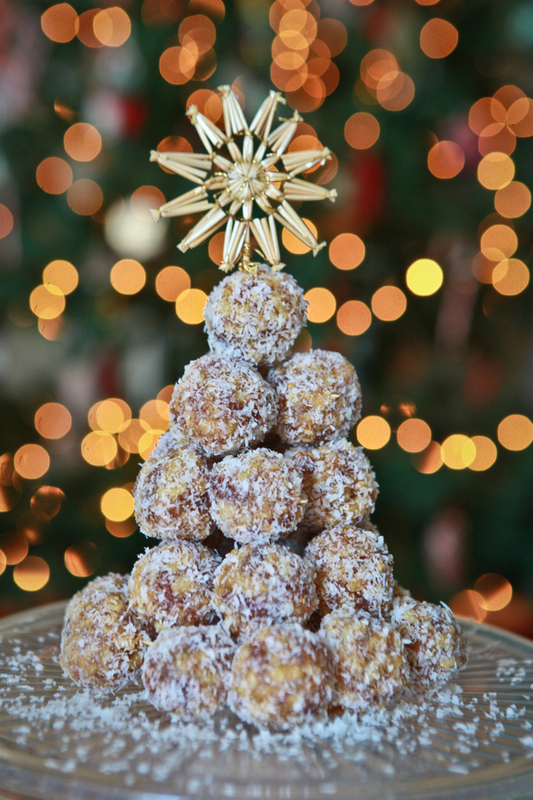 They are delicious, rich and perfect around the holidays. Pit and chop dates. Your cup of dates should be tightly packed (like when you measure brown sugar). Set aside. In a medium to large sauce pan melt together butter and sugar. Once melted, add in the dates, nuts and vanilla. Stir constantly for 4-5 minutes until the mixture is completely incorporated, sugar is completely melted and the mixture has began to carmelize (it should be deep golden brown). Remove from the heat. Add the rice krispies 1/2 a cup at a time, folding to mix. Set the mixture aside to let it cool a put 1/2 cupon a cookie sheet. I actually use unsweetened coconut powder because thats what I can get here and it works great. 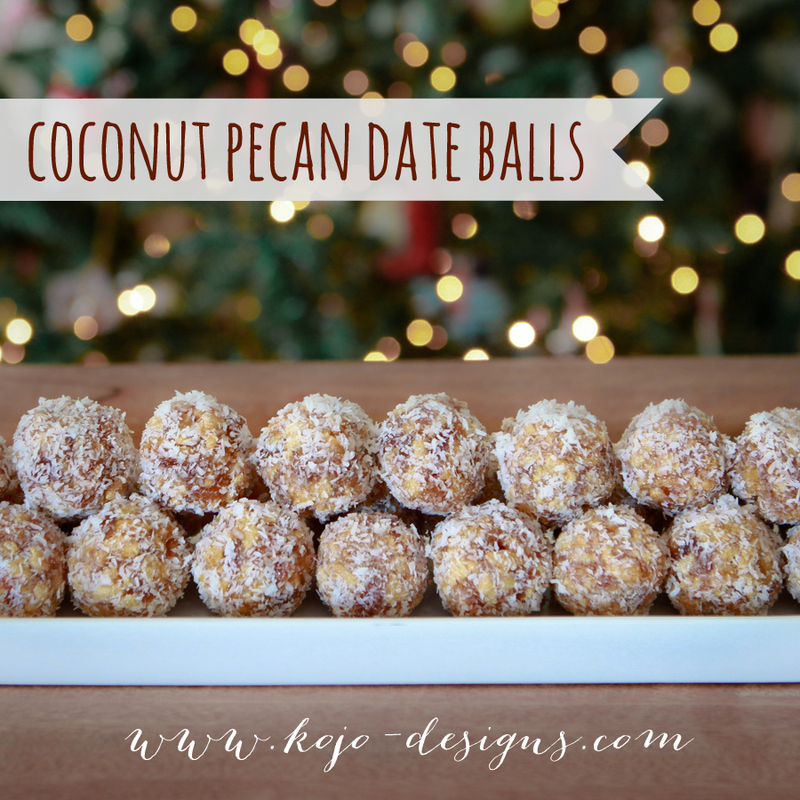 I think the unsweetened coconut works great in such a sweet recipe. Once the mixture has cooled enough to handle (it should still be warm, don’t wait until its completely cool or it will be really hard to scoop!) scoop out a heaping tablespoon and form into a ball in the palm of your hand. 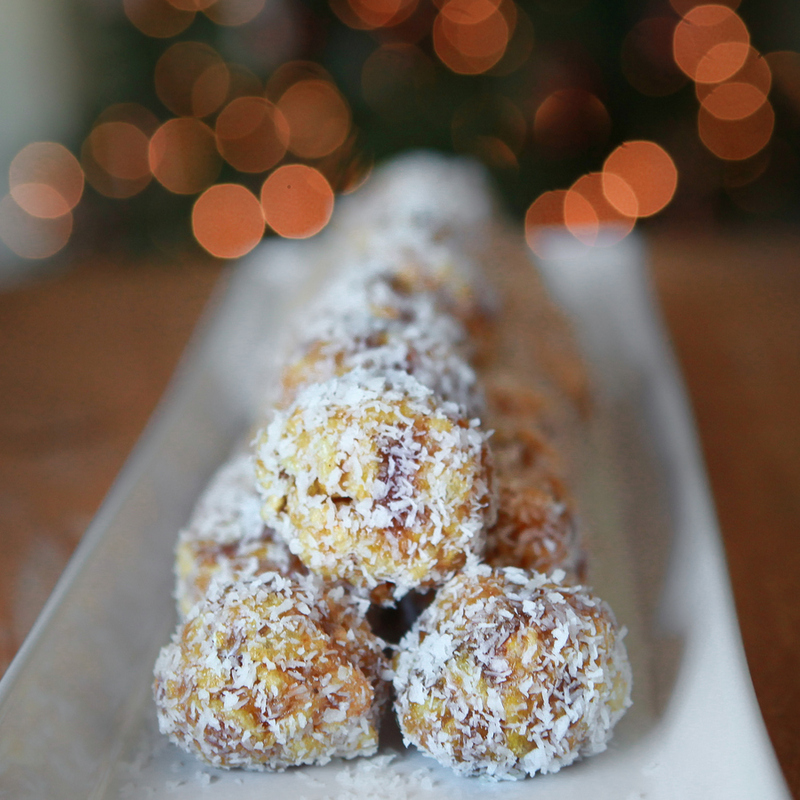 Immediately roll the ball in shredded coconut. Or you can just serve them on a platter…but I promise you, no matter how you serve these, they will be a hit and you’ll want to make them every holiday season. THESE HAVE BEEN A HOLIDAY TRADITION IN MY FAMILY FOR DECADES! MY MOM JUST TEXTED ME A PICTURE OF THIS YEAR’S BATCH YESTERDAY!